We'll help you save on BMO Insurance! BMO Insurance is one of the most recognizable names in the finance industry. With roots dating back to 1817, the company provides services to more than 12 million individuals, businesses and corporations in Canada, North America, and around the world. Part of the BMO Financial Group is BMO Insurance – offering comprehensive and reliable life insurance, health insurance and travel insurance solutions. If you are thinking about comparing BMO Insurance quotes, our ThinkInsure brokers can help! 1. Flexible insurance products and solutions : BMO Insurance, with the support of its financial history, offers Canadians flexible and affordable insurance options – allowing you to get the coverage you need. 2. Expert BMO life insurance advisors : Working with expert insurance advisors, you will have access to high quality insurance advice and a resource you can trust. You’ll never have issues getting your insurance questions answered. 3. Exceptional customer experiences : BMO Insurance is dedicated to making it as simple as possible to buy insurance and understand your coverage. Provides a combination of term life insurance, critical illness insurance, and accidental disability insurance in a single plan that lasts until you turn 65. Get a BMO permanent or term life insurance quote today! 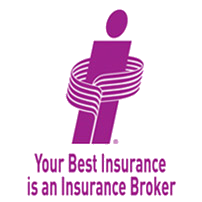 Talk with a ThinkInsure broker to learn more about your life insurance quote options. Contact us toll-free at 1-855-550-5515. Accidental Death Benefits : Get coverage so you are protected for the unexpected. Well Woman : Financial assistance to fight female cancers. Life Recovery Plus : Critical illness insurance to help you get back on your feet financially. Guaranteed Hospital Cash : Coverage to ensure you get the hospital care you need. FractureCare Plus : Accident insurance coverage to help you maintain your lifestyle. Not sure how much coverage you need? Try the BMO critical illness insurance calculator here. Get a BMO critical illness insurance quote by contacting our expert health insurance brokers today! Even though you can’t get a BMO car insurance quote or a BMO home insurance quote, our brokers can help you shop for an insurance quote from many top insurance companies in Ontario. Contact us today to get a quote. Ready to explore your options for life or health insurance? Start with a quote! Speak with our insurance brokers today. We will happily help you compare your BMO Insurance quote options.